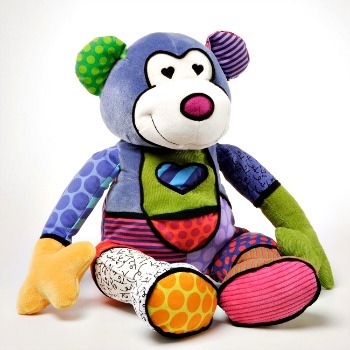 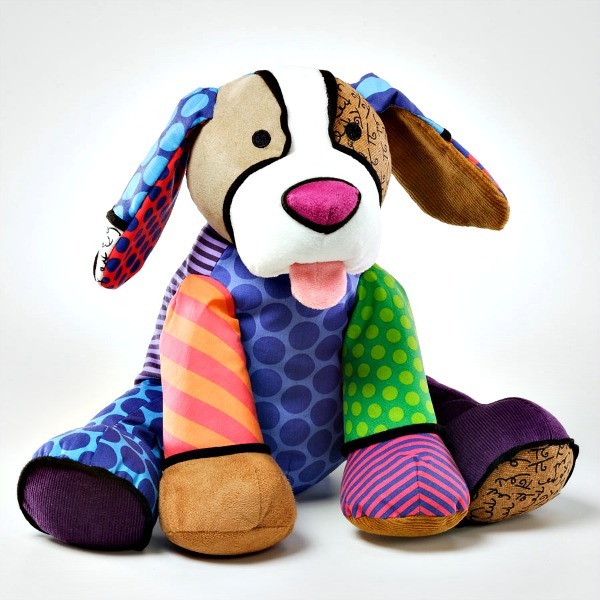 Britto Plush Canvas Puppy from Enesco. 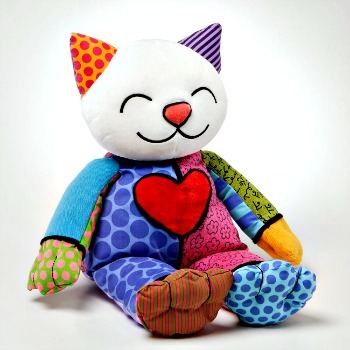 Measures 13.5" H.
World renown for his bold patterns, optimistic design and colorful palettes, Romero Britto's iconographic pop art comes to life in huggable Pop Plush! 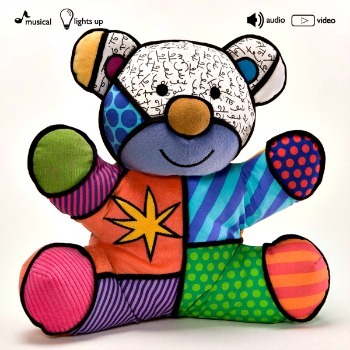 CE tested for ages 0+.